Do you feel like an imposter yogi? Do you feel like there is more to Yoga than you currently know? BUT, somewhere inside you feel it. What if you were given the opportunity to explore the path beyond asana accessibly, with support, on your time, and within your budget. What if you could deepen your journey NOW? Would you? Are you ready to shift the paradigm of Yoga? Module 1 provides the tools, the skills, the practices, the instruction, and the opportunity to expand your practice beyond its current limits, and to deepen your understanding of Tantra, Asana, Prana, and Meditation. This is a truly transformative program, that will impact every aspect of your life. 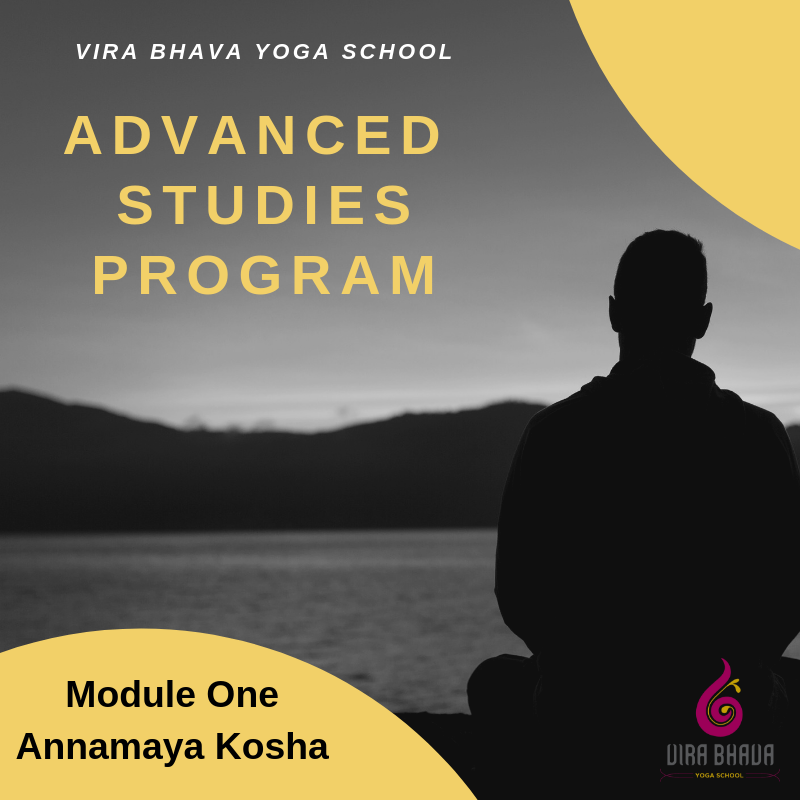 Module 1 provides an introduction to the 5 (Pancha) Kosha model of Vedanta, and an exploration of Annamaya Kosha, The Sheath of the Body. The Kosha model provides a framework to understand and explore our physical existence. The Advanced Studies Online Program will explore one Kosha in depth per Module. There will be a total of 4 Online Modules. Click here for details. Embark upon an exploration of the Physical body as the gateway to understanding the Subtle and Energetic Experiences of Yoga Asana. This Module will guide you through an understanding of the importance of the physical practice of asana, how we incorporate this more expansive understanding into our Yoga Practice, and how to apply it in our work with others. Through the tools of lecture, practice, contemplation, and exploration, this program will guide you to look at the physical practice of yoga through a wider lens. Sign up with your email address to receive Updates and Discounts on upcoming Modules.